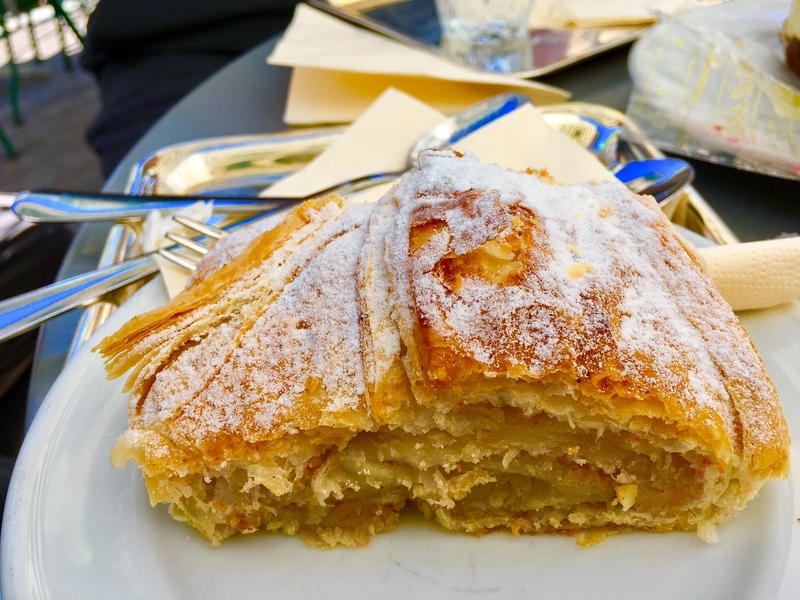 The not to be missed Apfel Strudel at Tomacelli Cafe in Salzburg Austria. On the GERMANY & AUSTRIA Tour. The imposing Salzburg Cathedral.On the GERMANY & AUSTRIA Tour. 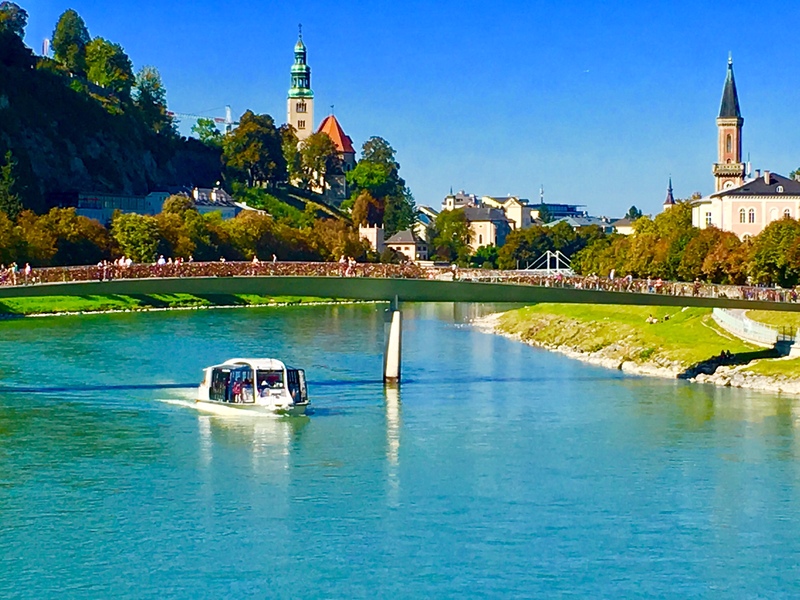 The lovely Salzach River in Salzburg Austria. On the GERMANY & AUSTRIA Tour. 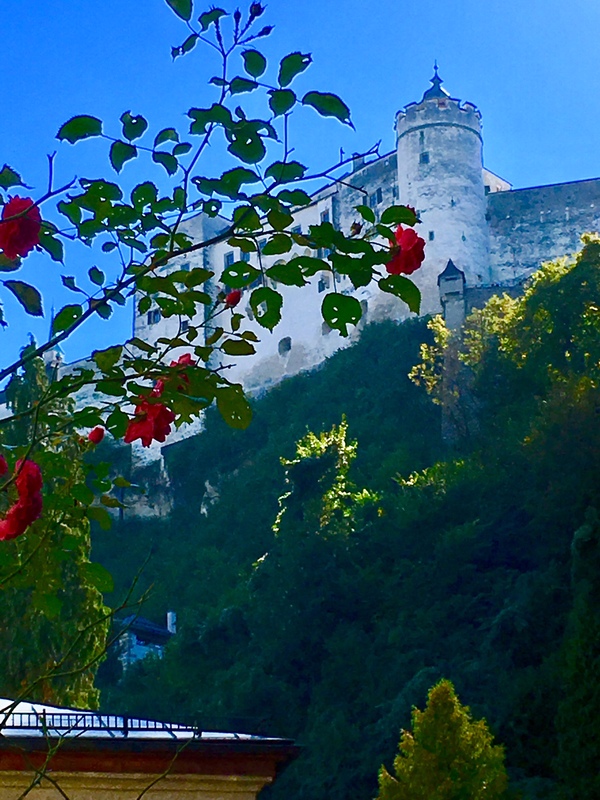 The symbol of Salzburg, Austria, the fortress high above the city. On the GERMANY & AUSTRIA Tour. 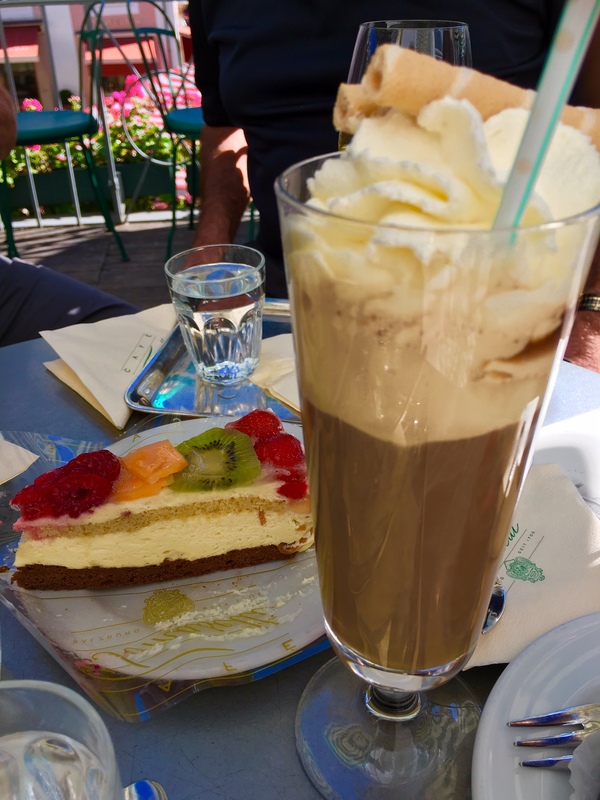 A refreshing lunch in Salzburg Austria. On the GERMANY & AUSTRIA Tour. 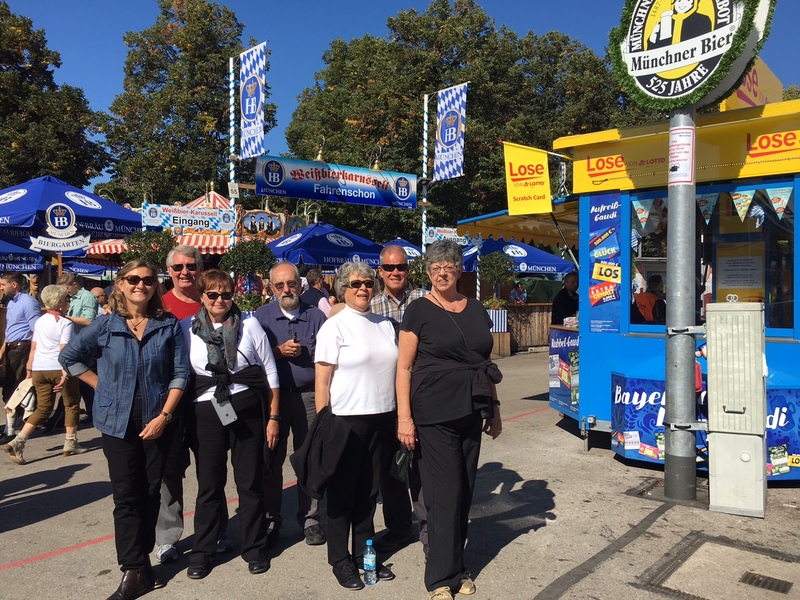 We arrive at Oktoberfest in Munich, Germany! On the GERMANY & AUSTRIA Tour. The perfect German with the perfect beer with the perfect mustache! 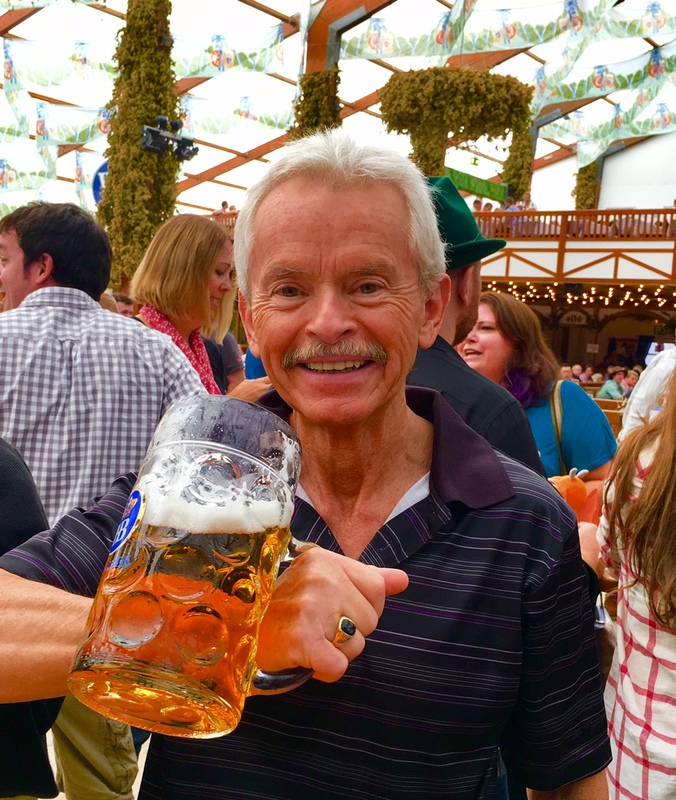 Great fun at Oktoberfest in Munich. On the GERMANY & AUSTRIA Tour. 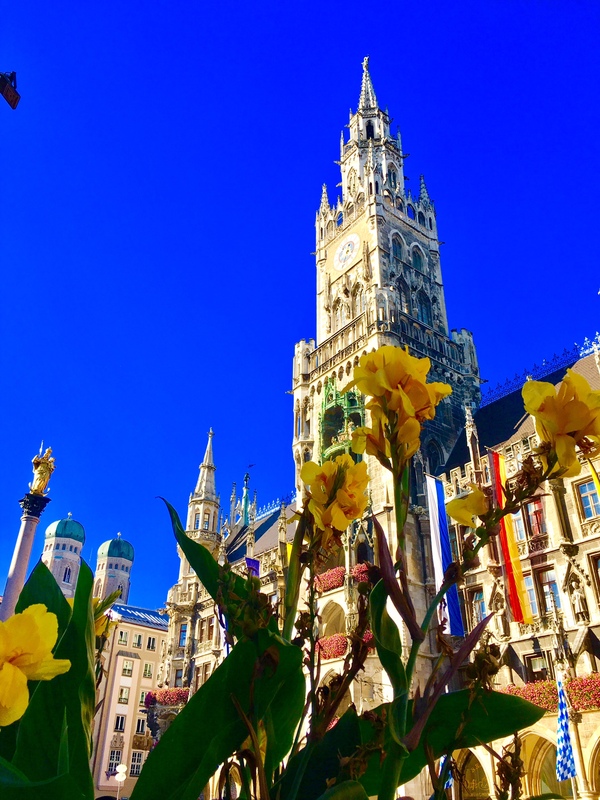 Mary’s Column, the twin towers of Our Ladies Church and the Munich City Hall. 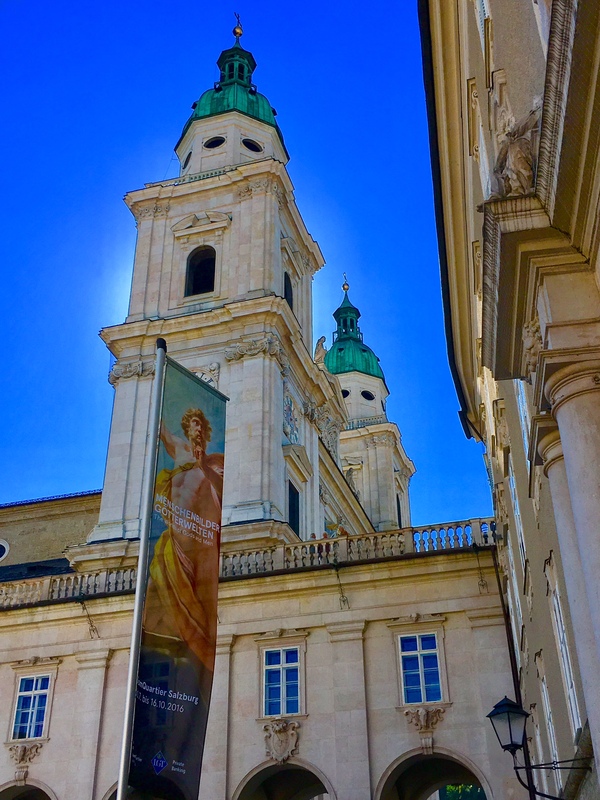 Beautiful downtown Munich, Germany. On the GERMANY & AUSTRIA Tour. 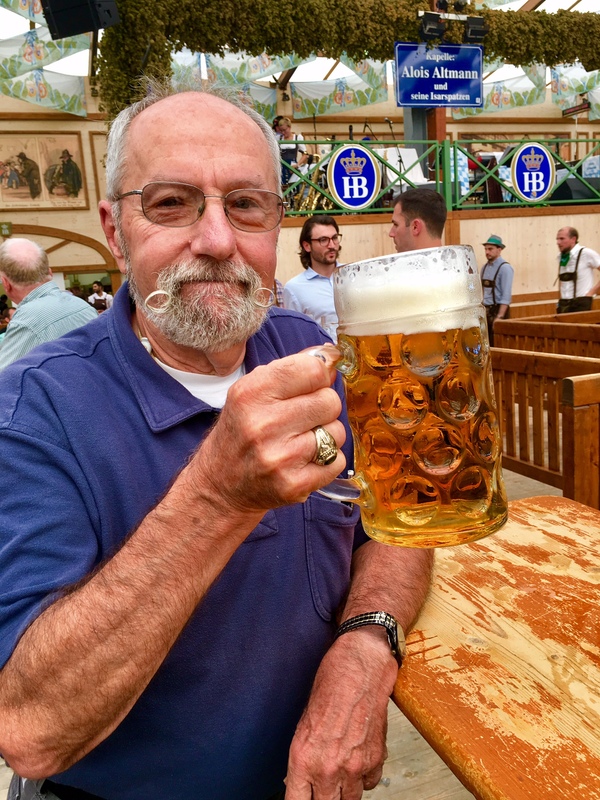 Even the tour guide to gets to practice now and then, especially at Oktoberfest! On the GERMANY & AUSTRIA Tour. 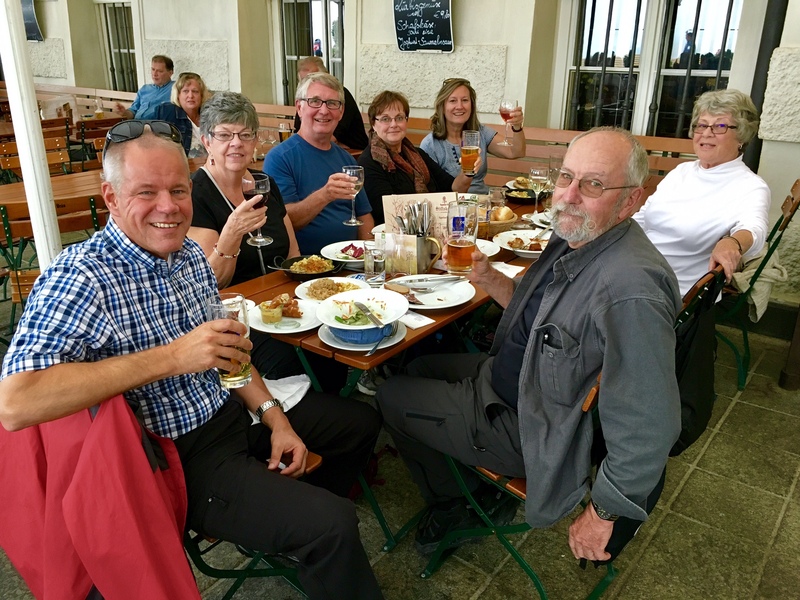 An excellent dinner at Stiftungskeller in Innsbruck, Austria. On the GERMANY & AUSTRIA Tour.